Ulster have swooped to sign Wallaby lock Sam Carter on a multi-year deal. The 29-year-old has joined the province in time for next season after completing a final campaign in Super Rugby. 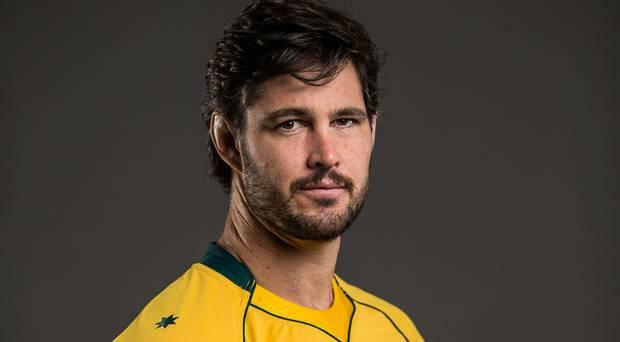 Carter has won 14 caps for Australia after making his debut against France in 2014. But his most recent caps came back in 2017 with national head coach Michael Cheika favouring an array of other locks as the World Cup nears. As such, he has been linked with a move abroad in his homeland of late but it's understood a move to Kingspan Stadium is now signed and sealed. "I look forward to joining Ulster later in the year and I'm excited by the prospect of playing with the team at Kingspan Stadium," said Carter. "The opportunity to compete within the Northern Hemisphere tournaments represents a new challenge for me and is something I feel ready for." He is the third Brumbies player to make the switch in as many seasons, following in the footsteps of Christian Leali'ifano and Henry Speight who both spent short spells with Ulster, who are next in action tomorrow fortnight at Ospreys in the Guinness PRO14. At 6'7'', Carter will provide a significant boost to Ulster's engine room, especially with Iain Henderson set to miss a significant chunk of the season due to the upcoming World Cup. Ulster have struggled for senior locks throughout Dan McFarland's first season in Belfast and brought in Ian Nagle as a loan signing at a time when resources were stretched particularly thin and large loads were placed on Kieran Treadwell and Alan O'Connor. Carter, whose father David also represented the Wallabies, will add a wealth of experience having made over 100 appearances for the Brumbies in addition to his Test caps, while his lineout nous will be welcome too. His addition is expected to be alongside that of fellow Super Rugby man Matt Faddes, the Highlanders back who is also believed to be close to signing on the dotted line at Ulster.